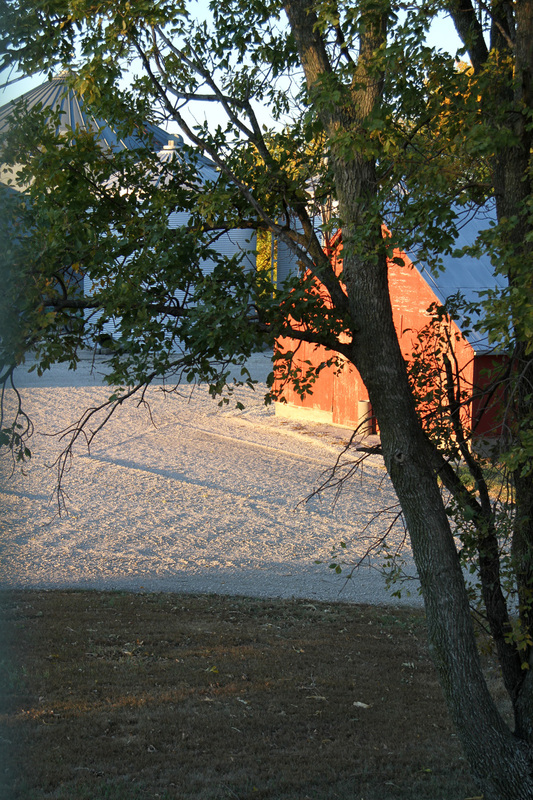 This was my vantage point every morning growing up at Gunderland (near Rolfe, Iowa), as it was this morning. Until several years ago, this view included a large red corn crib, a tiny red chicken house, and fewer round grain bins. Later this morning, soybean harvest will resume here. This entry was posted on October 1, 2011 at 8:34 am and is filed under Uncategorized. You can follow any responses to this entry through the RSS 2.0 feed. You can skip to the end and leave a response. Pinging is currently not allowed. Beautiful photo; I love the light and the angle. Wish I could have been there. I’m glad you like it. It did seem like such a “good morning” photo, probably especially since I had been out in the field the night before and I knew the hubbub of farm machinery would start up again shortly.